The dual pocket cable tester is a dual version (FC and BNC) of our Single Line Pocket Cable Tester and Single Line Identifier. 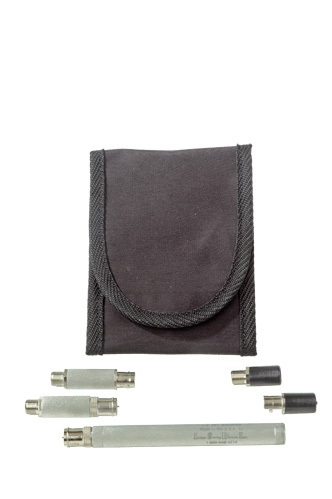 The Dual Pocket Cable Tester and Identifier can be used for testing and identifying BNC cables as well as FC Coax cables. Attach the bandit module onto the main body and test for continuity or use the main body power pack at one end of your line and the appropriate LED identifier cap at the opposite end to identify the correct line.